Stressing about what to do for your summer vacation? If an affordable, family-friendly summer beach getaway is what you're looking for, then consider one of these vacation destinations. From the Florida Keys, Alabama's Gulf Coast, to San Diego, and more, these 'Top Summer Beach Vacations' share the traits of pristine sandy shores, vibrant surrounding communities, and an inspiring place to unwind. Enter a newfound state of relaxation by catching some rays on the beach or quench that thirst for adventure by snorkeling or embarking on a deep sea fishing adventure! Kids and adults, alike, will surely appreciate the abundance of recreational outdoor activities on and near the beaches, as well as nearby dining and entertainment options. Now that summer has arrived, it's time to hit the beach! Tranquility Bay Beach House Resort blends beach home comforts with luxury resort accommodations for an unforgettable Florida Keys getaway! Sitting on 12 lush acres along the Gulf Coast of Marathon, Tranquility Bay has one of the largest beaches and the most lavish two- and three-bedroom beach homes in all of the Keys. Boasting amenities such as gourmet kitchens, spacious porches with stunning ocean views and flat-screen televisions, you'll be sure to feel right at home. Plus with an onsite restaurant, two pools and Adventure Concierge, every day can be as action-packed or as relaxing as you'd like! A complete Florida Keys summer beach getaway awaits! Sixteen new luxury single-level "Tropical Garden Guestrooms" are now available which offer more intimate accommodations than the resort's larger beach houses. Enjoy all of the amenities of Tranquility Bay Resort with more affordable luxury in mind, as well as lush tropical garden views. Accentuate your summer beach getaway with delicious dining, Florida Keys' attractions, in addition to a nearby Championship 18-hole golf course, tennis courts, state parks with incredible beaches, protected waters for diving and some of the best sport fishing in the world! Sunset Oceanfront Lodging, situated high above the sandy beach, majestic sea stacks, and the endless Pacific Ocean, is an ideal way to spend a hot summer weekend! Oregon's gorgeous coastline meets superior accommodations and fantastic personal service at Sunset Oceanfront Lodging. Family owned and operated resort for four generations, the hospitality here enough to keep guests coming back indefinitely. 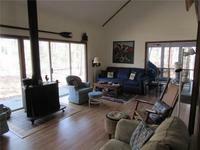 But, of course, there's so much more- your gorgeous surroundings and your fantastic accommodations, to name a couple! Bring your family, friends, or coworkers and escape the heat! The meeting room includes a refreshment area (104 sq. ft.), unisex restroom, and cloakroom. it's 312 sq. ft of extravagant detail and stupendous space! The light continental breakfast opens from 7:30 AM until 10:00 AM. ocated in the Lobby. 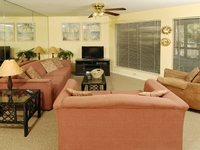 The Winds Resort Beach Club is completely unique, relaxed and upscale beach getaway on the beautiful North Carolina Coast. Complete with its own white-sand island beach and spectacular ocean-side pools, it's the island getaway you've dreamed about in the East Coast's northernmost subtropical region. This family-owned property has been inspired by generations of careful development and artistic vision, including winding wooded trails and awe-inspiring gardens. Two restaurants, a variety of outdoor games and plenty of hammocks and Whirlpools make this a relaxed, yet upscale family retreat or a peaceful romantic escape on the beach. The world-famous Myrtle Beach is just a half-hour away, perfect for golfing, shopping and much more! Escape to the beautiful beaches of the Carolinas! Offering a nostalgic beach cottage feel, The Winds offers many size options of oceanfront rooms, suites and four- to six-bedroom Island View Resort Cottages. Surrounded by palms, banana trees and hibiscus flowers, there are charming little nooks and pathways to discover at this beach getaway! If you’re looking for a beautiful Isle of Palms, SC vacation rental, look no further than Exclusive Properties - Isle of Palms. Whether you’re looking for an expansive beachfront property with ten rooms, luxurious furnishings, and plenty of room for your family retreat, or just want to take your family on a fun-filled trip, Exclusive Properties has a vacation rental that can fit your needs. Most of Exclusive Properties’ rentals are located just steps away from the six miles of sandy shoreline that comprise Isle of Palms’ beaches. They are also centrally located to all the attractions and activities you’ll want to see or do. This includes golfing at Wild Dunes, a vast 1,600-acre course known for its beauty, fishing along Breach Inlet, dining at one of the delicious local restaurants, such as Long Island Cafe, and much more! If you decide to venture to downtown Charleston, pick up a souvenir at Charleston City Market, see a different perspective of Charleston on the water from a sightseeing cruise, and see where the first shot of the Civil War was fired at Fort Sumter National Monument. Sand-seekers will discover paradise with the help of Bender Realty, Inc. Offering sensational condos on the powder-white Gulf of Mexico shoreline, an ocean of activities are just outside your door. Looking for a special place for your next beach vacation? Bender Realty’s luxury condo’s sleep up to eight guests, providing all the space you may need. Their extensive inventory allows you to choose the right complex for your perfect beach getaway. Dive into the swimming pool, unwind in the steam room, or watch the frolicking dolphins from your private balcony. While staying in Gulf Shores, Alabama, your family can cast off on a dolphin tour, battle behemoths while deep sea fishing, or rent a jet ski and explore the shores. For some dry fun, try the fresh seafood, stop by the surrounding amusement parks, or swing away on a golf course. Once you've built up an appetite, toss some burgers on the barbecue grill and spend some quality time with your loved ones. The Alabama Gulf Coast Zoo offers fun for everyone! Stop by the reptile house, aviary, petting zoo, gift shop, concessions, and picnic area. Waterville, USA is an aquatic oasis teeming with entertainment! A water and amusement park, this stop features a roller coaster, Nascarts, laser tag, miniature golf, and an arcade. Located in the heart of San Diego's Mission Bay on a 14-acre peninsula, the Bahia Hotel is a destination complete with luxury, stunning beach views, and endless warm sunlight. This secluded location is ideal for family vacations, romantic escapes, or group getaways on the beach. What's not to love about their spacious beachfront or gardenside rooms, equipped with modern amenities such as coffeemakers, refrigerators, kitchenettes, and more. Onsite, break a sweat at the fitness center, soak in the outdoor pool with a drink from the Cafe Bahia, or test your swing at one of two lighted tennis courts. When you're ready to head offsite for more adventures, the hotel's prime location makes it easy to find something you're sure to enjoy. With over 16 miles of boardwalk nearby, you can simply enjoy a beachside stroll, or indulge in kayaking and paddleboarding by stopping by the hotel's rental center to grab all the gear! Regarded by many as possessing the best climate in the country the average summer high and low temperatures for June, July, and August in San Diego are 71 and 62, 75 and 65, and 76 and 67, respectively. From Los Angeles (North): Follow I-5 South to San Diego. Exit at Sea World Drive and turn right. Just past the entrance to Sea World, follow the signs to Mission Bay Drive and take that exit. Continue to follow the signs until you go around the loop. After the loop, the hotel is at the second traffic light on the right. Ten miles of white-sand beaches await for you in the beautiful town of Ocean City, Maryland. This fantastic destination is ideal for summer beach vacations with family, friends, or your special someone. Central Reservations’ selection of premier vacation rentals lets you discover the perfect place to call home on your relaxing yet eventful beach getaway. When you’re not enjoying the luxurious comforts of your home-away-from-home, you will find plenty to keep you busy just minutes away. Soak up the bright summer sun from the soft beaches, build a sandcastle together with the kids, or partake in a variety of exciting watersports. Join a fishing charter for a day of fantastic sports fishing along the Atlantic, dive into the waves for a refreshing swim, or simply enjoy the views as you wander down the boardwalk that runs from the inlet to 27th Street. For a day trip, you can take a boat out to Assateague Island as well! With so many options here, you might have to extend your vacation to experience it all! Central Reservations' accommodations range from cozy beachside cottages to large multi-room oceanfront homes. Equipped with modern amenities such as full kitchens, private decks, and barbecue grills, you have everything you need for a great vacation! Some homes even offer private pools! Central Reservations works with A-Z Rental Services to make your stay a little easier. Order everything from linens to beach equipment and have it delivered to your rental! Since 1945, Wilgus Vacations has provided travelers with an exceptional Delaware vacation experience. Wilgus' premier selection of vacation rentals are located along Delaware's beautiful southern shore in the popular towns of Bethany, Fenwick, Middlesex, North Bethany, Sea Colony, and South Bethany. Stay with Wilgus Vacations and enjoy close proximity to beautiful Delaware beaches just outside your door. Delaware's southern shore features miles of soft sand oceanfront where you can search for seashells, go for a swim, or bask in the views as you wander along the boardwalk. Hit up the shops on Bethany Beach Boardwalk, indulge in local cuisine, or head out onto the waves on a fishing trip or surfing adventure. The possibilities are endless here! These rentals are ideally located and impeccably furnished to ensure your complete comfort and convenience. Fully-equipped kitchens, spacious living rooms, flat-screen television with DVD player, bathrooms, private decks with barbecue grills, and so much more are available. Many homes even have direct boat docks for easy access onto the water. Others are also pet-friendly! TradeWinds Island Grand is located off the Gulf of Mexico directly on the white sand beaches of St. Pete Beach, name the 'No. 1 Beach Destination in the U.S.' by TripAdvisor's 2012 Travelers' Choice Award. 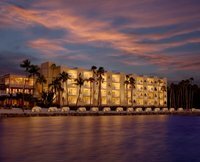 Having just completed a $20 million renovation -- Island Grand boasts 585 newly-renovated guestrooms and suites. Just 30 minutes outside of Tampa International Airport, Island Grand offers a variety of recreation activities including JetLev flight center, motorized surfboards, Splash Island Waterpark, Kid’s programs, paddleboats, tennis, a three-story tall inflatable water slide, and more. Lounge next to one of the resort's five heated pools or sip on your favorite libation at Salty's Poolside Beach Bar. This beachfront setting has a hint of the Island tropics and provides a beach getaway where you run out of vacation before you run out of things to do! The coastal city of St. Pete Beach is a famous tourist destination with the town motto, "The Sunset Capital of Florida." Despite its status of being a vibrant tourist post, the population of full time residents is only 9,346 (2010 Census). At TradeWinds Island Resorts you can do it all on the beach! Relax beneath a hooded beach cabana, join a game of beach volleyball, soar over the Gulf on the JetLev or skim the surf with available motorized surfboards. Enjoy a summer beach getaway like no other! Find your paradise on the Gulf Shores of Alabama! Secluded on a private beach, Perdido Beach Resort is a world of fishing, boating and water sports. Hit the links at eight nearby golf courses, indulge in designer discount shopping or visit the U.S. Naval Air Station and Museum in Pensacola. At the resort, play tennis, work out at the exercise center or relax poolside. An award-winning restaurant, Voyagers, offers local seafood, prepared in true Gulf style. This stunning Mediterranean-style resort boasts twin towers full of spacious rooms and suites with private balconies, each decorated in a coastal style. Relaxation and beach paradise doesn't get much better than this! Convenient to both Gulf Shores, Alabama and Pensacola, Florida, Perdido Beach features 346 luxurious guest rooms with private balconies, multiple onsite restaurants, an indoor and outdoor pool, fitness center, tennis courts, and much more. Turquoise water. Towering palms. Calm breezes. Imagine yourself whisked away to a tropical, beach paradise where you indulge your mind, body, and spirit, as you rediscover the lush 27-acre oasis called Cheeca Lodge & Spa. Romantic, serene, and dynamic, this Islamorada resort sets a true standard of excellence! Be swept away by the casual elegance emanating from every detail and settle into the laid-back lifestyle of Islamorada. Your beach escape awaits! Located in the 'Sportfishing Capital of the World,' Cheeca Lodge is a top destination for serious anglers. Charter a boat and discover over 500 species of fish within minutes from shore. The casual fisherman can cast a line from the end of the resort's 525-foot pier – the longest in the Keys. Whether you're with family, friends or someone very special, summertime at Luna Beach Properties is the perfect time to enjoy some warm, sunny bliss! Miles upon miles of pristine white sand beaches are waiting for you when you stay with Luna Beach Properties. Their premier accommodations along Alabama's Gulf Coast ensures you're never far from enjoying the bright sunshine, warm sand, and sparkling blue waters of the Gulf of Mexico. Spend a day working on your tan, or enjoy an exciting adventure on the waves. Rent a kayak or canoe to explore the water, or join a local fishing charter to reel in a variety of local species. The choice is yours! The nearby Alabama Gulf Coast Zoo offers hands-on encounters with lemurs, kangaroos and sloths.